The teams initially removed the old dilapidated climbing frame in the school summer holidays, and following this a new frame was built. A few weeks later the ground level safety surface was installed to complete the play area. 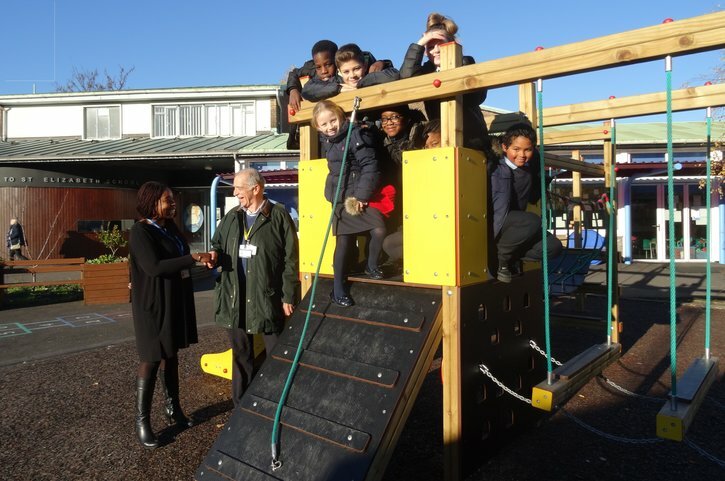 Pictured in the photo are Head Teacher, Angelica John, and Chris Staples of BBMV with some year 5 and 6 pupils, aged 9-11 years old, who thoroughly enjoyed themselves on the new climbing frame. Angelica mentioned that she was very touched by BBMV’s kindness and generosity. The team hopes to provide them with volunteers and assistance with other initiatives in the future. Well done to everyone involved!